From the writers of Cabaret and Chicago, Kander and Ebb have produced yet another dark, twisty and surreal musical. The group performing are students from UCL. Being a huge fan of Kander and Ebb’s most famous shows and their general musical style, I looked forward to seeing one of their lesser known works. 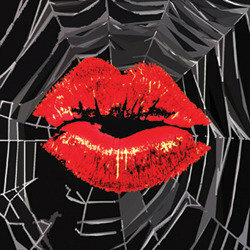 Kiss of the Spider Woman takes its inspiration from an Argentine novel. This is reflected in the music which makes wonderful use of the Latin American sound to create vibrant song and dance numbers that lift an otherwise depressing story. The first third of the show felt a little disorientated, and I was struggling to follow what was going on initially. I’m not entirely sure if that was the show or the cast as they got into their stride. However, once it got going, the plot moved along at a good speed and the musical numbers came thick and fast. The biggest flaw with this show is that the subject matter is exceedingly heavy, to the point where the musical numbers are unable to lift it. There is also not the happy ending seen in Chicago that makes you forget that you just watched a show about women on death row. In Kiss of the Spider Woman, it’s too hard to escape that you’re watching a prison drama about gay men and Marxist revolutionaries. I wonder if this is because although the main characters do sing at times, the central singing role is given to a figment of Molina’s imagination. Given that this was a student production, the cast did a great job. This musical deals with deep adult themes, and many of the leads really captured the sense of both the story and the style in which it was told. Particular mention must be made of Stephanie Epperlein as Aurora as this is a hefty role with lots of singing, and her performance would not be out of place in a professional production. Of the two cell mates, Ben Whittle was a stronger Molina than Thomas Chesover as Valentin but they developed their relationship through the play well (though the latter did, perhaps, have a touch too much of the “Kurt Hummel”s about him…). The notable exception to the directorial choices was that of the Warden played by Jack Oliver Aaron. The character performs a role similar to the Emcee in Cabaret, but the director of this show had him played as aggressive. I felt he would have been more intimidating had he been played as calmly evil. Kander and Ebb’s thirteenth collaboration is good, but not excellent. While their wonderful musical style captures the Latin American vibe, the source material lets them down. There are no happy endings for the characters as in Chicago, nor is the tragic end left to the imagination as in Cabaret. Kiss of the Spider Woman ultimately leaves you feeling quite down and has no glimmer of hope, which is not what you want from a musical. Overall, the cast were competent but not outstanding. There were some very talented performers which lifted the show, but not enough to overcome the misery of the show itself. This entry was posted in Musicals, Reviews and tagged 3 stars, fringe 2013, musicals, reviews on 5th August 2013 by .